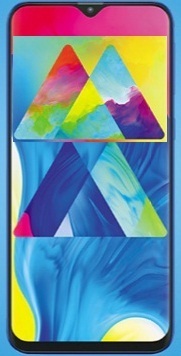 Samsung has recently launched Galaxy M10 and M20 smartphones with aggressive price. The missing from Galaxy M series in recent launches was Galaxy M30 phone. The subject mobile phone is expected to launch soon. Samsung Galaxy M30 smartphone's leaked specifications and features available right now. This may or may not be a correct one against official detail. You can find its detail below. If you are interested to know more detail about Samsung Galaxy M30 cell phone, like, its launch date, release date, features, specifications, price, first impression, unboxing, review, comparison and hands-on etc. then you could find some of them soon. The phone might be powered by brand's own Exynos 7904 Soc processor and coupled with 4GB of RAM. The internal storage could be of 64GB / 128GB variant. Galaxy M30 would run on Andriod Pie operating system. With regards to its display, the phone could come with 6.38 inches display screen with the resolution of 2220 x 1080. The camera of the device is expected three rear cameras viz. 13+5+5 megapixel and 16 megapixel for front shooter. This could be one of the best smartphones. You can check the Galaxy M30 phone's key specs and price detail below. Tips: The other M series also got reasonable feedback. So, the subject device also be one of the toughest competitor against other brands for the similar segment. You can also check Galaxy S10 series and Galaxy M20 phone detail.